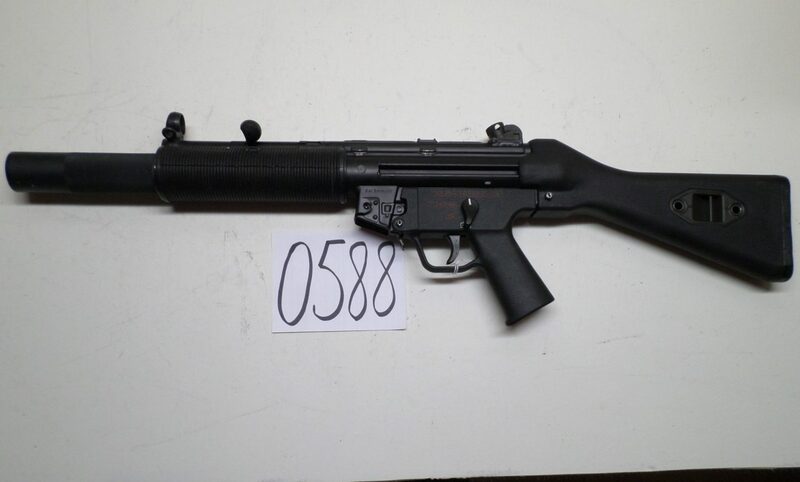 H&K MP5 SD PUSHPIN Internally-Suppressed in excellent condition. 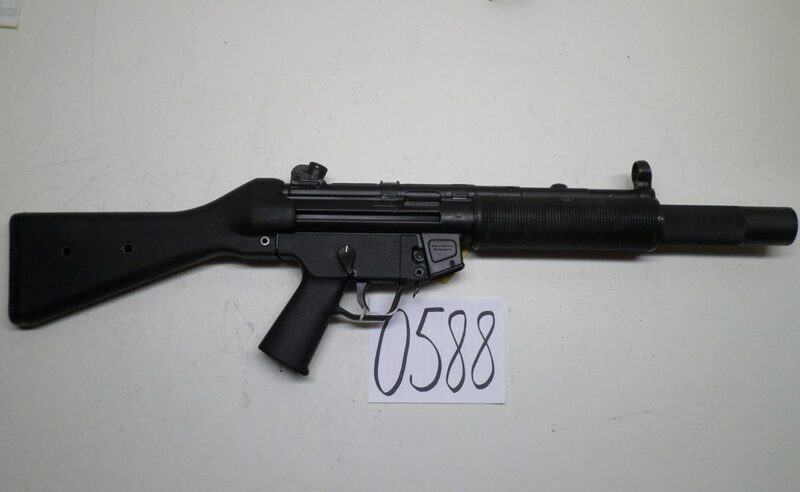 Marked MP5SD. 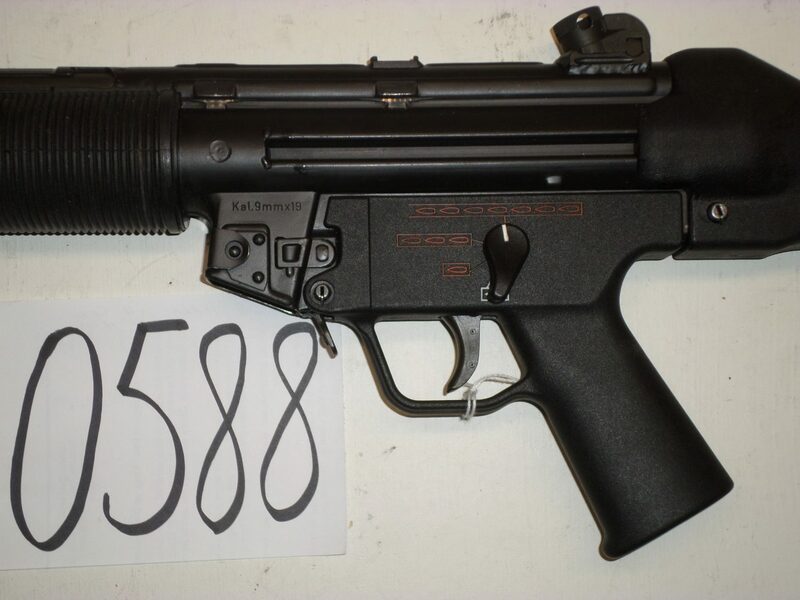 Has paddle mag release and four-position lower. Has a registered S&H Sear that is not married to the gun. 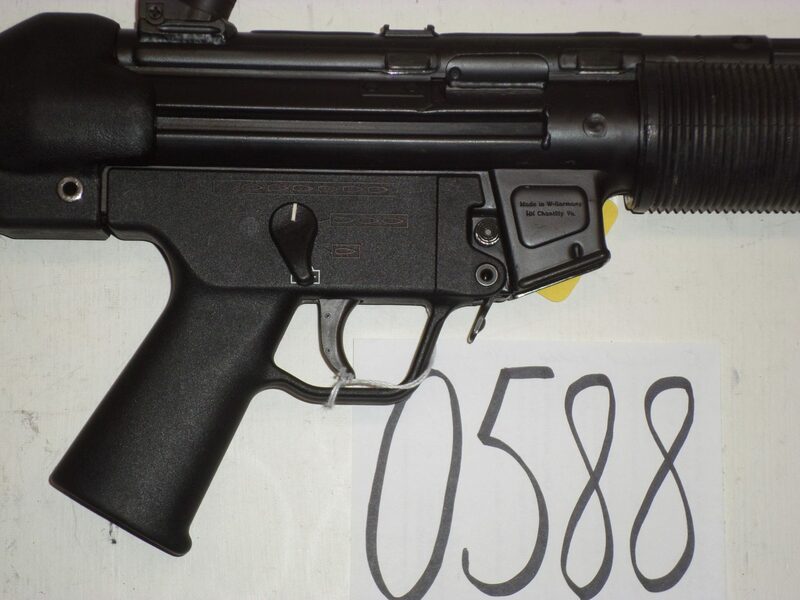 The Sear can be removed if the gun is registered as a SBR. The suppressor is the late model small tube which is a desirable feature. Top quality rare gun.